We especially love that their mission is to support and facilitate contributors of high quality content and that they make this so accessible to their audience. And they say that every penny given goes to their contributors. Oh! And that Tara Flynn writes a weekly column for them. What’s not to love. 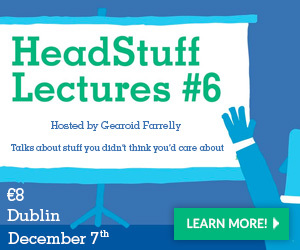 HeadStuff.org is a collaborative hub for the creative and the curious. 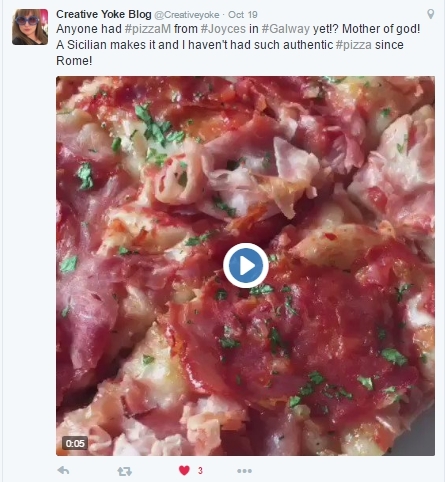 High Praise Indeed for our Pizza! 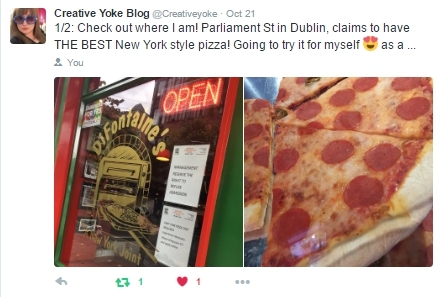 So, recently we were wandering around our Twitter page and came across this Tweet from Creative Yoke Blog and thought……..hmm! Sicilian….but bet you haven’t tried New York style pizza. We decided to put ours to the test and invite Creative Yoke to try it for herself and tell us honestly what she thought. 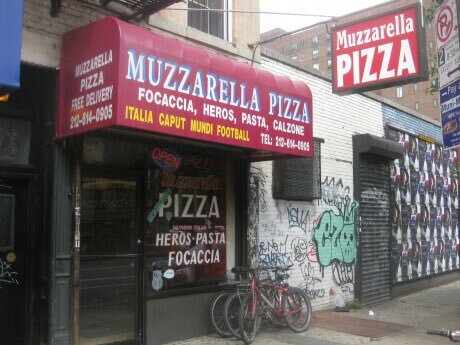 I’m quite familiar with New York style pizza, I have been to New York many times, more times than I can count, my first port of call is “Mutz’s” or ‘Muzzarella’s’ (Avenue A, just at 14th Street). 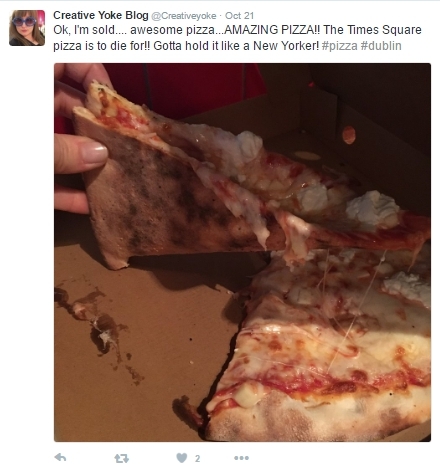 High praise indeed from one who knows her New York pizza! Thanks Lucie Ryan Donnelly for a great write up. DiFontaine’s, quite simply, is the best pizza in Dublin. Nestled on the outskirts of Temple Bar, right beside the quays, it’s a prime location to intercept hungry drunkards from all sides at 02:00, which is probably its peak time. A tiny spot with a few counter seats, it’s a place to grab a slice rather than a sit-down meal, but I guarantee you won’t want to sit anyway. Read the rest of what Lucie had to say here at Spotted by Locals. 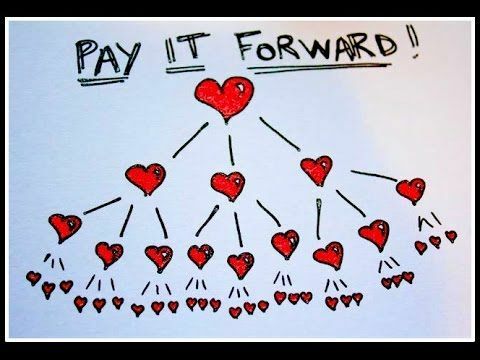 Here at DiFontaine’s Pizzeria we’ve been encouraging our customers to Pay It Forward for a number of years and have had tremendous support from them. When you buy a slice of pizza for yourself, you pay for another one and we suspend it. Then we give them to people who need them. We’ve been happy to tip away at this on our own all this time, but always hoped that other businesses would consider doing it also, but yesterday all of that changed! When a random post popped up on my Facebook timeline about a young guy in Dublin who had pledged to fix leaks for elderly people who can’t afford to pay – and committed to do one every month from January onwards – we just HAD to get in touch with him. That young man’s name is James Ormond who runs his own company Roofing and Building.ie which is based in Dublin. Initially he thought about donating to a charity but then thought he’d rather be more directly involved with helping people. He pays for all of the materials and labour himself and is genuinely happy to do so when he sees the improvement it can make to a person’s life. 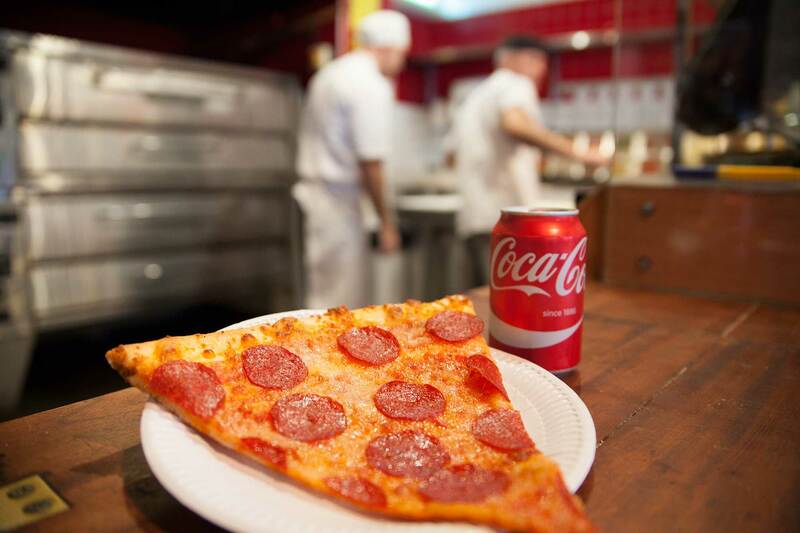 It’s the closest Dublin has to a classic late night NYC pizza joint. 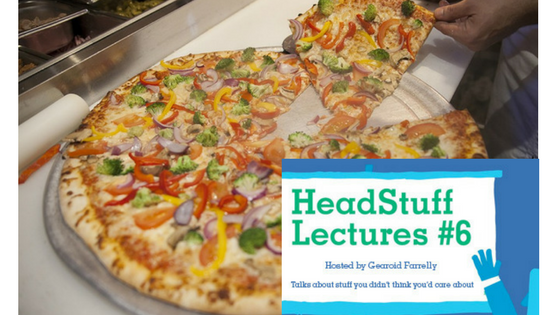 Their slices are huge, you get them quick and it’s open seriously late into the night – and not forgetting that they are pure pizza filth, and exactly what you need at the end of a night. Read all about it here and find out who else was in the running….